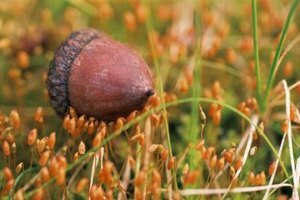 Growing an oak tree from an acorn is a project in which the whole family can participate. This project reveals the natural process of a seed growing into a tree, and the end result can also help add beauty to your yard. Growing an oak tree indoors allows you to give the acorn all your attention, providing it the best chance to succeed. From start to finish, this process will take about one year, then you can transplant the tree seedling outside. Find an acorn in the fall. Try to find one as soon as it hits the ground. Choose an acorn that is plump and large. Avoid any damaged, sickly-looking or rotting acorns. Refrigerate the acorn. Place in a plastic bag with peat moss. Add a small amount of water, but do not drench the acorn or moss. Keep the acorn around 35 degrees, and keep it in the fridge until April of the following year. Check the acorn periodically to ensure it is still damp. Add water as needed. Plant the acorn in a small planter, about the size of a yogurt cup. Poke holes in the bottom of the planter to ensure adequate drainage. Fill the planter to nearly the top using an equal mix of quality potting soil and peat moss. Place the acorn in the dirt near the top, but totally cover it with soil mix. Place the acorn horizontally so the cap and the tip are pointing at the edges of the planter and not the bottom of the planter. Keep the planter in a sunny location and wait for growth. Keep the dirt moist, but not soaked. Do not let the dirt get dry. The acorn should sprout within a week or so. Sometime in May, the seedling should be a half-foot tall with leaves. Introduce the seedling to the outdoors. You can bring the planter outside during the day once the seedling sprouts a second set of leaves. Bring the container back in at night. Protect the plant when it's outside so animals don't disturb it. Transplant the seedling to a larger planter. This can be done in June. Consider a 10- to 12-inch pot. Use the same soil mixture as before, and ensure proper drainage.The planter can be left outside at all times. 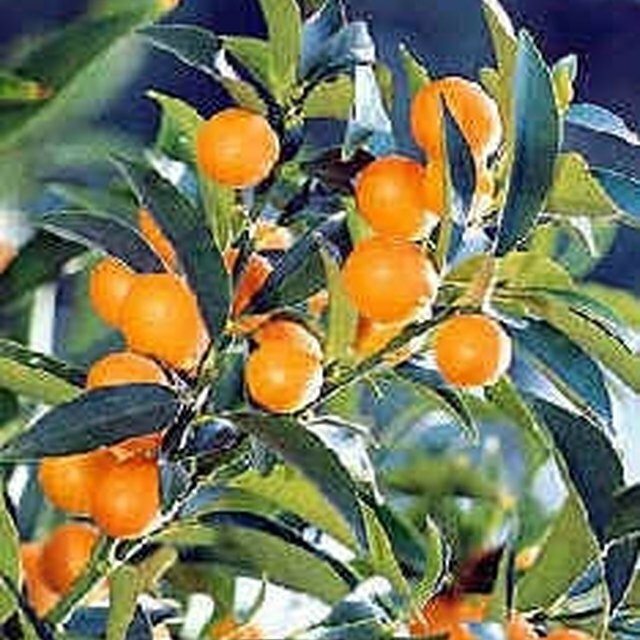 Permanently plant the tree outdoors in the fall. Choose a location that can handle a large tree. The oak tree will grow slowly, but it will become a large tree someday. Use quality soil and provide adequate mulching. Consider staking around the tree to avoid damaging it with a lawnmower. Plant many acorns at once. Choose the strongest seedlings to plant in your yard. Never let your planters dry out. How Long Can You Keep a Cut Watermelon?